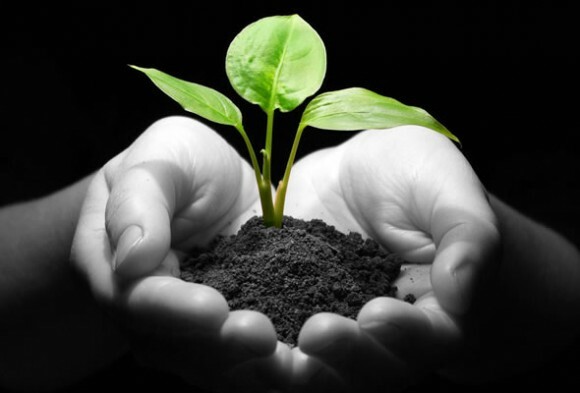 End-tidal CO2 is increasingly becoming used outside of the Operating Theatre and it is prudent for the rural doctor to have an appreciation of what it is, how to measure it, when to measure it and it’s utility in common scenarios. It is my belief that ETCO2 should be used not just in intubated patients, but as a valuable adjunct for procedural sedation, for monitoring patients ‘at risk’ and to help guide resuscitation. 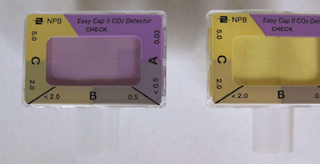 Devices such as the Easy-Cap or Pedi-Cap are designed to confirm the presence or absence of expired CO2 – a pH detector (metacresol purple on filter paper) detects pH shifts and changes to the colour yellow in the presence of expired CO2. A sample line is placed as a sidestream to the breathing circuit (usually via the HME filter at intersection of endotracheal tube and breathing circuit). Exhaled gas is sampled by a dedicated analyser (anaesthetic monitor or some defibrillators). 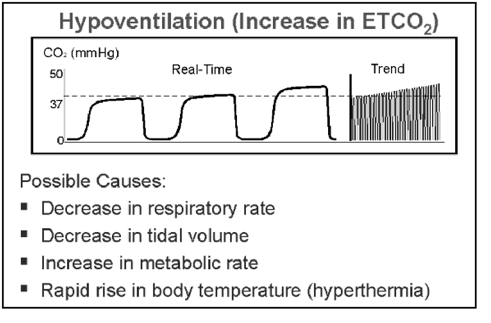 Typically such methods generate both a waveform (capnograph) and a number (ETCO2). Propellor heads can get excited about different phases. Be aware of them. The capnograph gives us lots of information in addition to the absolute number of ETCO2 (aim 35-45 mmHg). It is easiest to consider the waveform baseline, height, frequency, rhythm & shape. There are some must know waveforms in the ‘rogues gallery’ later below. 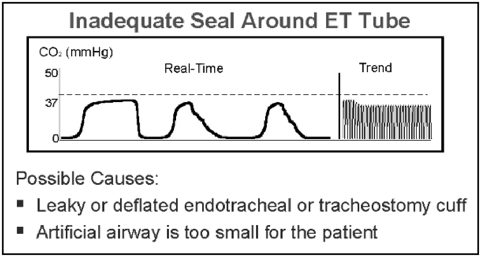 The ones I worry about most are the absent or rapidly disappearing ETCO2 rtace seen in inadvertent oesophageal intubation…and the falling ETCO2 waveform with loss of cardiac output. As an alternative to sampling expired gas directly from the anaesthetic circuit or HME filter attached to an endotracheal tube, it may be useful to monitor ETCO2 for spontaneously ventilating patients, whether on room air, nasal specs or oxygen mask. I use this routinely during endoscopy, colonoscopy in the operating theatre, as well as when performing procedural sedation in the ED. I am increasingly using ETCO2 monitoring to confirm ventilation in other situations – particularly to confirm ongoing ventilation of the agitated psychiatric patient who has been effectively sedated with agents such as benzodiazepines, haloperidol or ketamine – mindful that hypoventilation or apnoea may be missed. 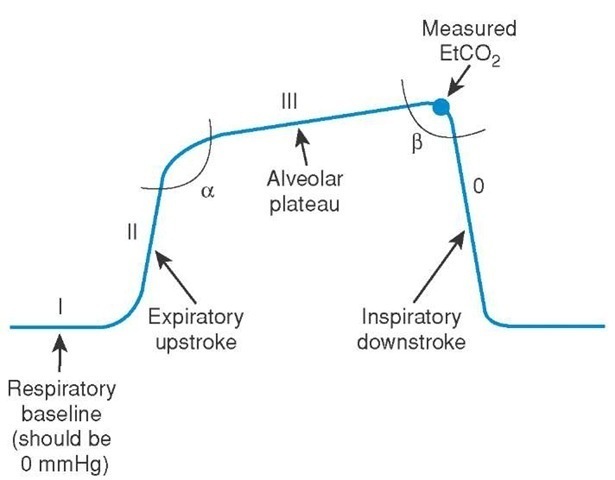 Remember that relying on SpO2 to confirm ventilation is inadequate – measured oxygen saturation may remain elevated for some time after cessation of breathing- and once a fall in SpO2 has been detected, your patient is already hurtling down the oxy-haemo-coaster. In ED ot theatre, there are different gizmos. Most ETCO2 sampling equipment is dedicated to sit in-line as either an adaptor between ETT and circuit, or as a filter line to attach to HME filter. There are also sampling devices designed to sit under nares like nasal specs. 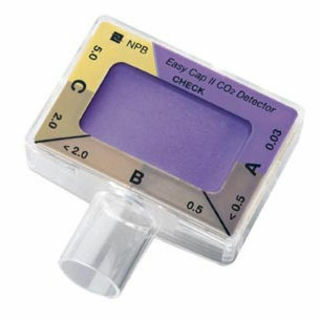 I tend to just take the sampling line from the HME filter, attach to a microfilter and then attach to either blunt cannula or plastic tube of an IV – this can be pushed through the holes in a Hudson mask to detect ETCo2 for patients receiving sedation NB: the ETCo2 will be LOW as diluted by oxygen. 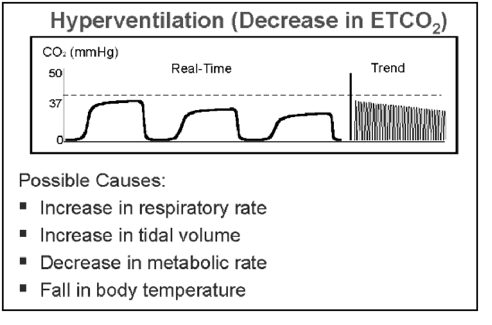 When should I measure ETCO2? End-tidal CO2 is classically considered as the standard of care when performing intubation. 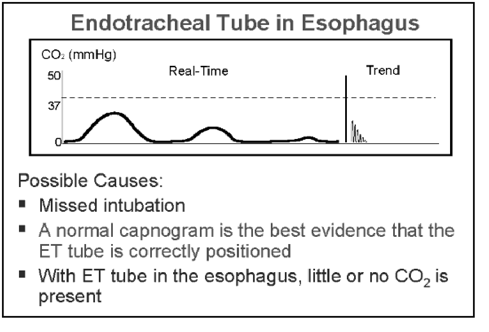 Either colorimetric or waveform capnography can be used to confirm the presence of exhaled CO2 and hence confirm desired tracheal vs inadvertent oesophageal intubation. 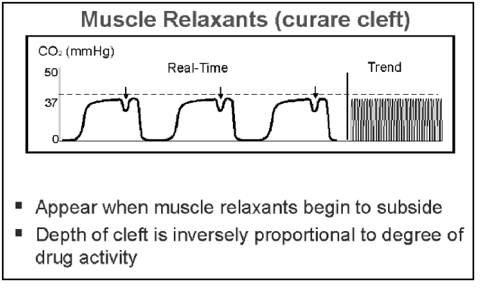 The waveform also gives clues to alveolar ventilation (hypo- or hyperventilation), airway resistance, cardiac output, CO2 production & elimination, as well as the obvious confirmation of tube placement within the trachea – both initial & ongoing. as a numeric target to aim for eg: in treating the head-injured patient where normocarbia, normotension and avoidance of hypoxia are key goals to avoiding rises in ICP. 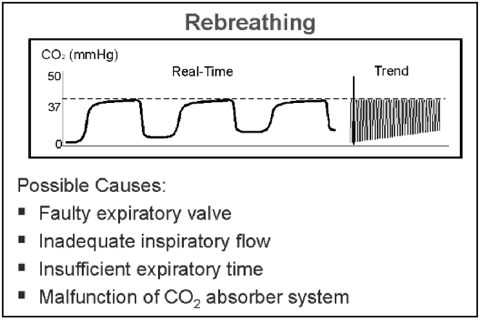 End-tidal CO2 monitoring is mandatory not just for the intubated patient, but should be used whenever using a neurolept eg: sedation in ED, monitoring of psychiatric patient etc. Even if you are not performing anaesthesia, know how to hook up ETCO2 monitoring for your spontaneously ventilating patients at risk of hypopnoea or apnoea. 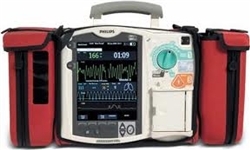 Dedicated ETCO2 monitors exist, but most capnographs will hook up to existing monitors in OT, ED and ward defibs. 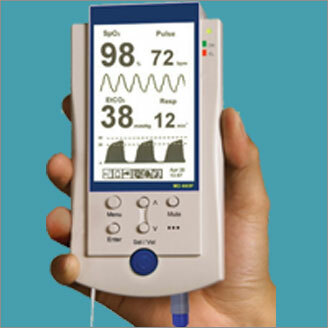 Insist on the use of ETCO2 monitoring in your shop. Wow, great article! Thanks Tim. During training of students and residents, I make it clear to them that the waveform size and shape tells us how well they are ventilating. 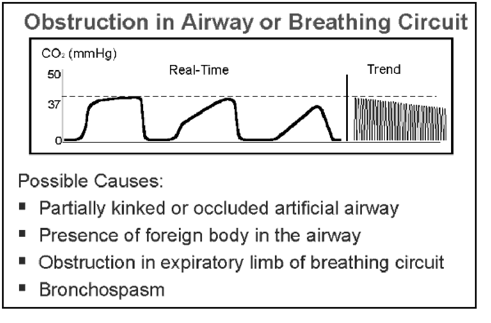 What I want to understand more clearly is why the intubated patients waveform changes shape when mechanically ventilated vs spontaneously ventilating. 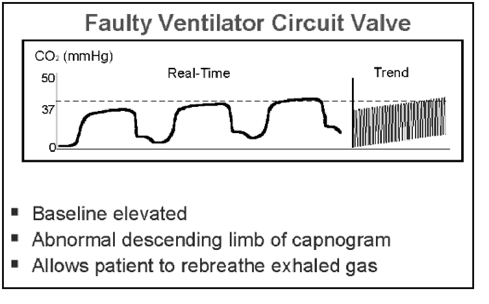 Also why does the inspiratory slope decrease with inspiratory valve malfunction, but only the baseline increases with expiratory valve malfunction. All sources I have found simply state that “this is how the waveform changes in this instance” but does not explain why?? A Practical Approach to C Spines?